In 1979, I joined WAIT as the Head of Occupational Therapy. Having never been an academic before, it was definitely a learning experience! I stayed at the school until 1989, and in this time, we moved from an undergraduate to a PhD level education provider. At this time, the School was located at Shenton Park, however it joined Bentley not long after I left. In 1987, when WAIT became Curtin, I was one of only two women to become Professors, and in 1988, I was the first Occupational Therapist in Australia to complete a PhD. I then went on to become Dean of Academic Affairs in Health Sciences, and played a major role in the implementation of the University’s international Health Science programs. Following an invitation from Vice-Chancellor John Maloney, I spent my next five years working with my husband David, who I met at Curtin, fundraising for the John Curtin Centre as the inaugural Dean of the John Curtin International Institute. Following a restructure, I joined the Graduate School of Business, where I stayed until my retirement in 2001. After retiring, I spent 10 years as the Chair of the Mandurah Performing Arts Centre, where I am still part of the Ambassador Patrons Program, and I chaired the first independent Mandurah high school. I am also an advocate for Alzheimer’s Australia. 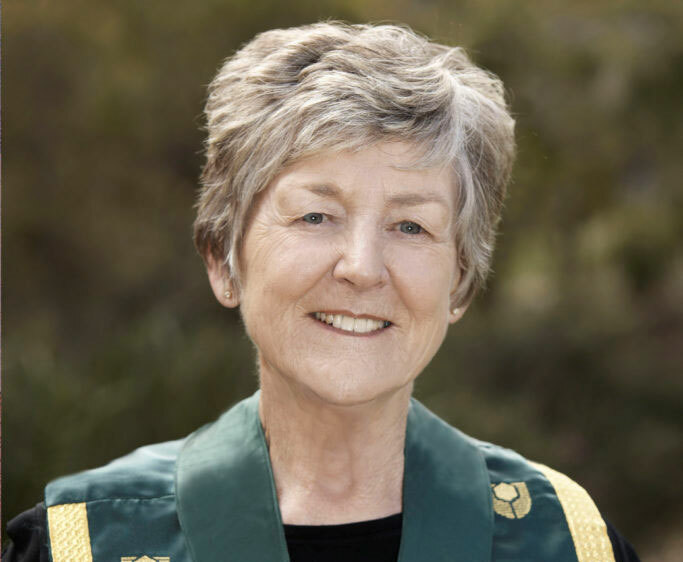 During my career, I was the first female board member of Perth’s Sir Charles Gairdner Hospital and subsequently its first female Chair, and the first Australian President of the World Federation of Occupational Therapists. In 2012, I was awarded the John Curtin Medal for leadership in Occupational Therapy. Looking back, I am very grateful to Mark Liveris, my DVC of Health Sciences, for his support of women’s rights during a time when few women were gaining status at Curtin.